Discussion in 'Jailbreak Applications & Tweaks' started by f4780y, Jun 21, 2011. I purchased an excellent new tweak from Cydia this week. WiFi Booster from Malcolm Hall ($1.99) removes the signal strength limit allowing you to see and connect to weak WiFi networks in your area from the iPad WiFi Settings. It also enhances the network view to include the MAC address of the access point [blurred out in my image ] and the signal strength. F4780y seal of approval? How about the "Jailbreakers of iPF" seal? Why do I want this app? I will let the iPad connect to wifi networks that are beyond apple's signal strength requirement. Do a simple test. Get a laptop, and see what networks you get. Go to iPad, you might pick up half, if you are lucky. With my HPMini I don't get a very good wifi signal here at home. But on my iPad and my desktop I have lightening speed! Why is that? So this app will fix that? It won't fix your hp! It's an IPAD app not an hp app. I know that, Brat! You referenced the laptop. For some reason. My iPad is hella fast already ~ why do I need it? You are not speaking Marie, Grayson. It has nothing to do with speed, just range. 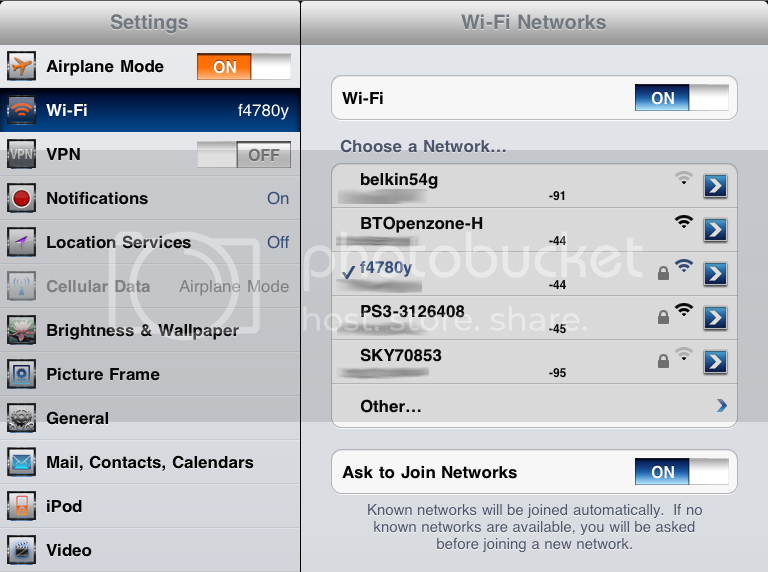 Apple limits the iPad to only show networks that have a certain signal strength. This tweak removes that. Cool. Simple explanations. . Tell me ~ why do I want it removed?